Arlington, home to the Dallas Cowboys and the Texas Rangers is a wonderful city for anyone. This exciting city is located in close proximity to both Fort Worth and Dallas. Arlington, a continuously growing town with plenty to do, is especially popular with sports fans. They will enjoy Globe Life Park and AT&T Stadium. Families will love Six Flags Over Texas. Arlington has a complex, evolving history. Arlington was named after Robert E. Lee, the Civil War hero. The town began in the 1840s as an Indian settlement. Caddo tribes were the first n 1843, nine tribes signed the first ever Indian peace treaty. A trading post was established that was a major stopping point for travelers, the mail and stage coaches. This trading post was later known as Johnson Station. In the late 1880s, a railway was constructed through this area. Arlington was finally Incorporated in 1884, right after the town’s first newspaper was established. In the 1950’s, Arlington underwent dramatic growth. The population shot up from 8,000 to more than 45,000. The mayor of Arlington for 25 years, Judge Tom Vandergriff, was responsible for much of the growth. He attended the college in Southern California and was fascinated with how Walt Disney built Disneyland. Vandergriff was fascinated with opportunities for Arlington. He envisioned the city’s prime location in Texas as the perfect location for a family theme park similar to Disneyland. In the early 1960s, the Six Flags Over Texas began operating. This gigantic theme park now draws more than three million visitors a year and is the largest theme park in the southwest United States. Six Flags also operates Hurricane Harbor, a gigantic water park. The Rangers Ballpark was then established in Arlington. This ballpark is a wonderful tribute to all of the legendary ballparks of the past. It is now home to Major League Baseball team, Texas Rangers. Arlington’s Entertainment District has really taken off over the last several years. It offers a range of affordable, good-quality family fun and food. More than 6.5 million people visit Arlington’s entertainment district annually. Texas has a strong real estate demand with growth expected to remain quite strong. In addition, Arlington offers some of the most affordable homes in the United States and the cost of living is low. Arlington offers plenty of one-of-a-kind entertainment for the whole family. Here are just a few of the fun things to do in the area. Six Flags Over Texas is the area’s most popular family attraction. This large amusement park offers lots of thrills, fun and excitement. Notable new attractions include the groundbreaking New Revolution Virtual Reality Coaster and AQUAMAN. Shockwave is one of North America’s first Virtual Reality Roller Coasters. This virtual reality coaster is equipped with wireless headsets that allows riders to enter a virtual world full of 360-degree views and high-resolution imagery that synchronize to the coaster action. AQUAMAN is the ultimate wave rider, featuring a 50-foot drop down an ultra-steep waterfall. Six Flags Hurricane Harbor is lots of fun for the entire family. Featuring tons of thrilling waterslides, a children’s play area and wave pools, families will love cooling off at Hurricane Harbor over the summer. Located across the street from Six Flags, this museum is where the United States Olympic bowling team practices. The International Bowling Museum and Hall of Fame lets visitors travel back 5,000 years from bowling’s past to the present. There is also a gift shop and numerous exhibits. When it comes to food and drink, you will find a variety of choices in Arlington. Choose from trendy sidewalk cafes to family diners. Arlington offers a number of wonderful ethnic restaurants as well. Arlington affords plenty of opportunities for premier shopping. Visit Arlington Highlands, Lincoln Square or The Parks at Arlington Mall for the best shopping in the area. Live music fans will have plenty of opportunities to catch shows at Levitt Pavilion and Arlington Music Hall. Arlington Texas is a great city to call home. With a strong real estate market and a booming local economy, the city is a wonderful place to live and work. 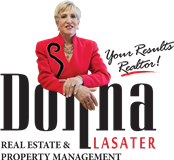 If you are considering relocating to the Arlington area, contact Donna Lasater, a top Arlington area real estate professional. She is a local expert in the Arlington area and can share her local expertise with you.